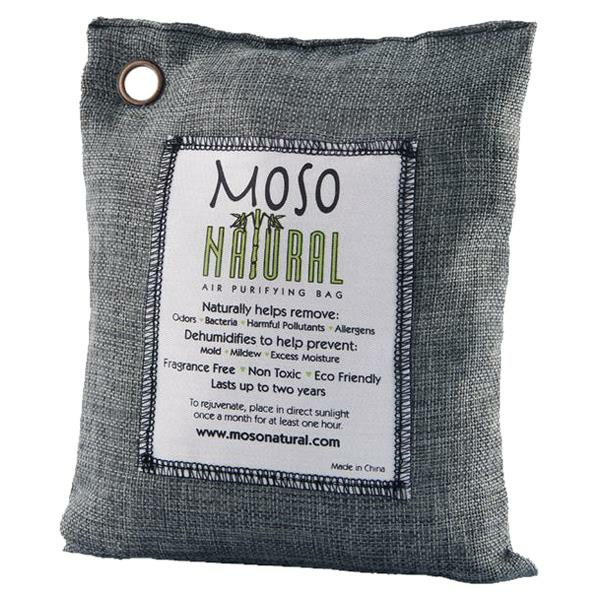 Moso Natural Charcoal Air Purifying Bag is the easiest way to maintain fresh, dry and odor free. It is perfect for larger areas such as kitchens, living areas, bedrooms, basements and offices. The Moso Bag contains just one ingredient, 100% moso bamboo charcoal, the super porous bamboo charcoal absorbs odors and moisture to prevent mold, mildew, and bacteria from forming.